We are pleased to bring you College Connections, an online communications series dedicated to the college discovery and discernment process. The purpose is to provide the entire Rambler community with relevant topics, tips and timelines, along with diverse insights and voices to help guide you through the journey and hopefully ease some of the anxiety inherent in the college search and admissions process. We always welcome reader feedback. 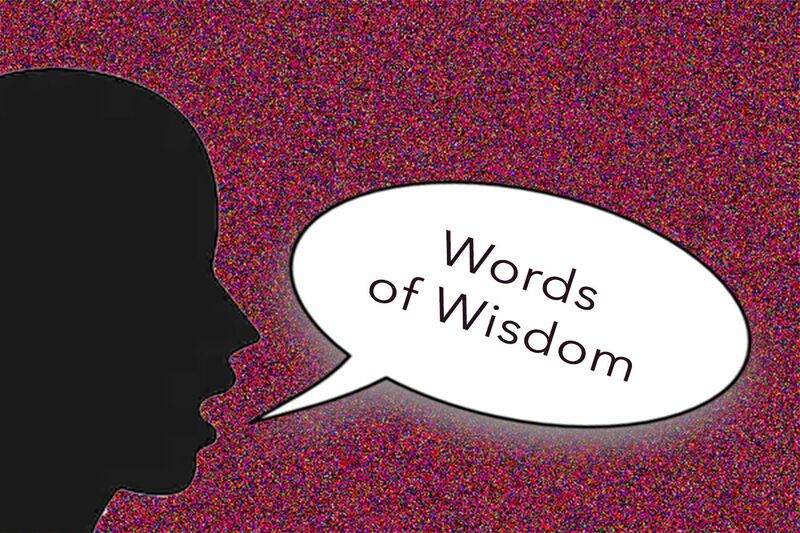 You can share comments with your college counseling team at collegeconnections@loy.org. 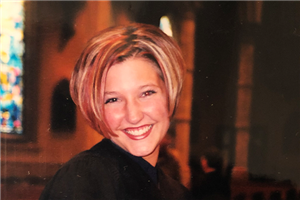 There is a lot of information out there about colleges and the college admissions process, the below articles are some of the more helpful articles we have found. 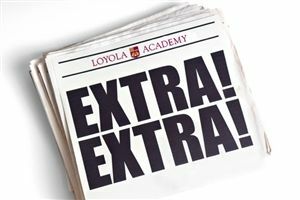 You've probably been hearing about the recent college admissions scandal that has been extensively covered in the media. We wanted to share some information with you. The National Association for College Admission Counseling (NACAC), which sets standards on admissions practices, has issued the following statement which reiterates their consistent commitment to the highest standards of transparency and ethical practice. As members of the NACAC, we at Loyola Academy are also committed to these standards and practices. I suppose I could have gone with “An Admission: It’s not fair!” What can I say, catchy titles are not my thing. Working on it. But at this time of year, “fairness” is a resounding theme. At Georgia Tech, we are about to release admission decisions and over the course of the next month, most schools will also be putting their decisions on the streets. 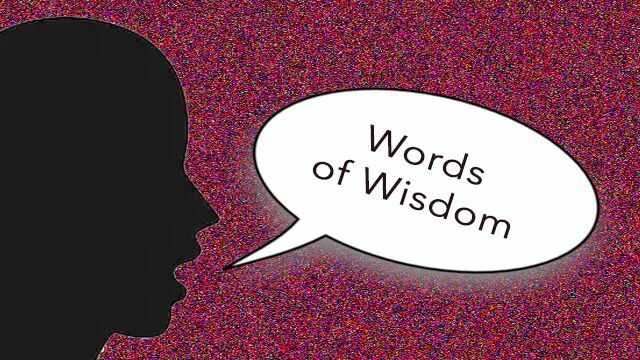 So, when you log in to a portal, or receive an email or letter from a school with an admission decision, keep two words in mind: Be Cool. This is on you, because you can’t count on anyone else. Your parents may lose their minds. Your teachers or principal or neighbors or friends may as well. Again, lots of voices, lots of emotions, lots on the line. Two words: Be cool. Allow me to explain. INTERVIEW PART 2 Mark continues his interview with Rick Clark, Director of Undergraduate Admissions at Georgia Tech, in their final segment on the right way to handle deferrals, denials, waitlists and acceptances. 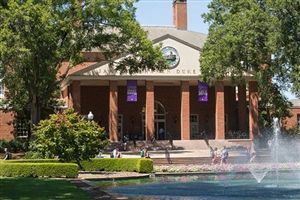 Furman University offers students an unparalleled education that combines classroom learning with real-world experiences and self-discovery. An integrated four-year pathway, guided by a diverse community of mentors, prepares students for lives of purpose and accelerated career and community impact. 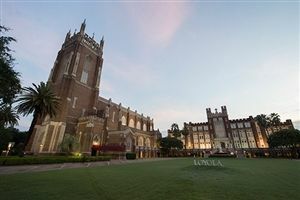 Loyola University–New Orleans is located in the city’s historic Audubon Park District on St. Charles Ave. Here, students enjoy a small school feel with a big school advantage. State-of-the-art resources support experiential learning, an important focus of the university’s academic culture. Situated on a 120-acre residential campus in the heart of Los Angeles, Occidental College fully integrates the liberal arts and science with the cultural and intellectual resources of a global city. 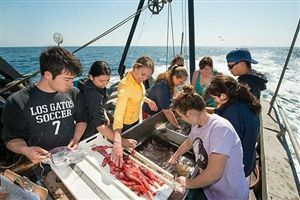 At Oxy, students spend as much time in the lab, the field, the community and the studio as they do in the classroom. The first recognized college in Florida, Rollins College offers students a blend of challenging coursework and engaging service—all while taking advantage of Florida’s natural beauty and Orlando’s vibrant metropolis. 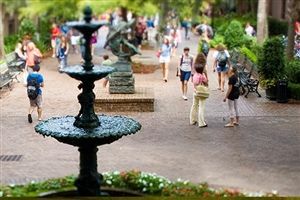 Located in the heart of historic Charleston, South Carolina, the College of Charleston is a nationally recognized public liberal arts and sciences university. Founded in 1770, the scenic campus is highlighted in the classic love story The Notebook (2004)! Founded in 1824, Kenyon is one of the nation's finest liberal arts colleges, a small school where academic excellence goes hand in hand with a strong sense of community. Did you know? Liberal Arts (2012) starring Elizabeth Olsen was filmed on Kenyon’s campus! 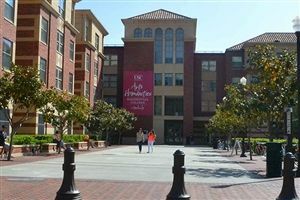 The University of Southern California is one of the world's leading private research universities, located in the heart of Los Angeles. Founded in 1880, it is the oldest private research university in California and has educated many of the nation’s business leaders and professionals. Fun fact: The Graduate (1967) starring Dustin Hoffman, was filmed on USC’s sunny campus! 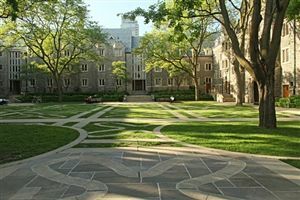 The University of Toronto is a global leader in research and teaching—it’s also the campus featured in The Time Traveler’s Wife (2009)! 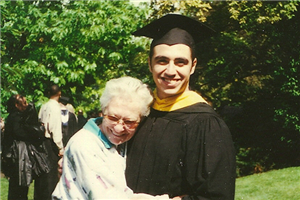 College Counselor Mr. Tony Minestra is an alumnus of Elmhurst College, a private four-year college located on a 48-acre arboretum in a beautiful suburb just minutes from Chicago. U.S. News & World Report recently ranked it #20 on the list of Best Regional Universities in the Midwest. With an average class size of 18 students, 60 majors and 15 pre-professional programs—including pre-med and pre-law—it's easy to see why Elmhurst College attracts ambitious, motivated and talented students from diverse backgrounds. 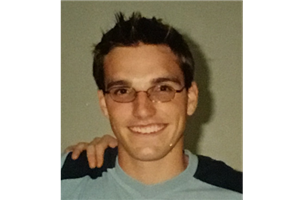 Loyola's very own College Counseling Department Chair Mr. Mark Porcaro is a proud alumnus of Fordham, a mid-size university with an undergraduate population of approximately 9,000 students. Along with stellar academics and spirited NCAA Division 1 athletics, Fordham is the only Jesuit university in New York City and the oldest Catholic university in the northeastern U.S.—founded in 1841! College Counselors Ms. Traci Flowers and Mr. Jaime Simon attended Loyola University Chicago on the shore of Lake Michigan in Rogers Park. Just a short distance from downtown Chicago, Loyola students enjoy easy access to world-class museums, internship opportunities at Fortune 500 companies and more. Loyola is proud to be a "college with a conscience," developing ethical leaders that serve the local and global community. 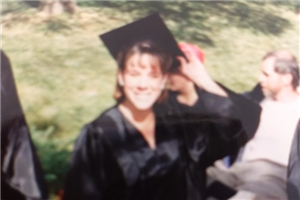 College Counselor Ms. Nancy Menendez attended this Catholic and Jesuit University in Pennsylvania's Pocono Mountains region. 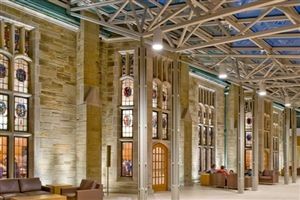 With a student body of only 3,729 undergraduates, Scranton boasts a 12:1 student to faculty ratio and 68 bachelor's degree programs in three Colleges: The College of Arts and Sciences, The Kania School of Management and The Panuska College of Professional Studies. And, the University of Scranton ranked among the healthiest colleges in the United States, according to a September 2016 listing posted on Greatist.com, an online source for health and fitness information. 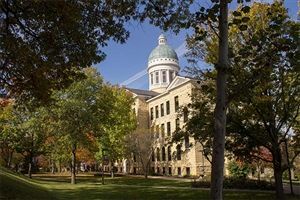 Do you know that the number one most beautiful campus, per US News & World Report, is in Illinois? 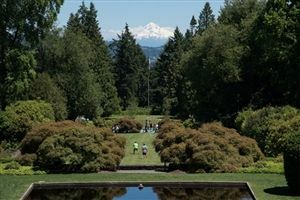 Exploration and discovery are skills Lewis and Clark College will offer you to succeed at the college-level and beyond! 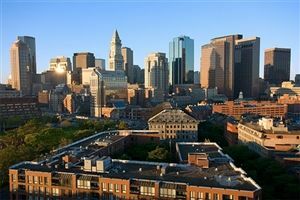 Envision attending a university where the city is your classroom...look no further than Suffolk University! 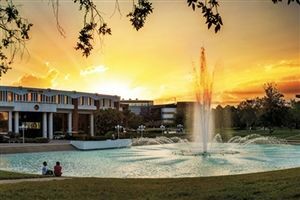 Be a part of something BIG by becoming a Knight at the University of Central Florida.